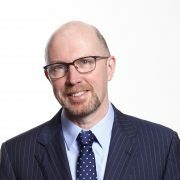 James is one of Australia’s most experienced financial journalists: He has held senior positions on The Australian Financial Review, The Australian, Business and Finance in Dublin and The South China Morning Post in Hong Kong. A veteran of reporting on and analysing Australian corporations he wrote for Business Review Weekly before co-founding Eureka Report, Australia’s most successful investment media site. He is also the author of the best selling ‘Business Secrets’ series of books profiling leading Australian entrepreneurs including Harvey Norman’s Gerry Harvey and the late Richard Pratt of Visy Group. Apart from regular television and radio commentary with the ABC and Sky Business, James is also a business columnist with The Weekend Australian newspaper. James started work as a financial reporter on Business and Finance Magazine in Dublin Ireland. He has since worked as a journalist on the South China Morning Post in Hong Kong, the Australian Financial Review and The Australian. James has also written ‘My Mother’s Diamonds: In Search of Holocaust Assets’, an account of the search for missing Nazi millions. James co-wrote the script for an SBS Television documentary based on the book titled ‘Paying for Peace’. He was a co-founder of AIBM with Alan Kohler, Robert Gottliebsen and Stephen Bartholomeusz which was later sold to News Ltd. He is also a qualified securities adviser working under the Eureka Report financial services general advice licence. James is an experienced corporate speaker with a warm ‘Irish’ anecdotal style who captures the excitement of big business through an entertaining and highly topical presentation. He is always contemporary in content and relevant to current news and events. He speaks to groups as diverse as the Australian Institute of Company Directors, The Australian Investors Association, The Australian Stock Exchange, CEDA (Committee for Economic Development), The Mortgage Industry Association, The Melbourne Motor Show and The Australian Library and Information Association.